This is a new series which provides an ideal platform to study chess openings. By continually challenging the reader to answer probing questions throughout the book, the Move by Move format greatly encourages the learning and practicing of vital skills just as much as the traditional assimilation of opening knowledge. 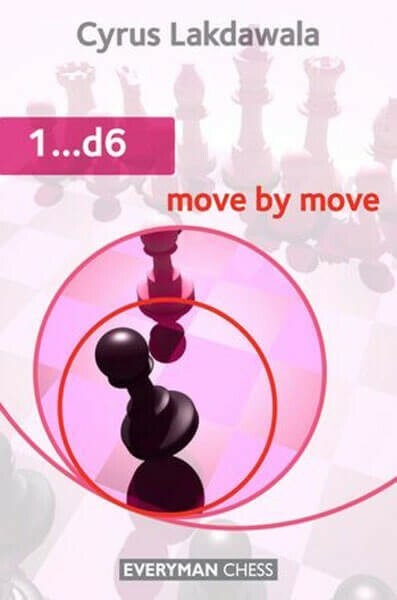 1...d6 can be employed as a universal defence to any White opening, making it an ideal practical weapon for Black. In this book, Cyrus Lakdawala invites you to join him in examining a cocktail of challenging lines with 1...d6. He shares his experience and knowledge, studies the typical plans and tactics for both sides, and provides answers to all the key questions. Cyrus Lakdawala is an International Master, a former National Open and American Open Champion, and a six-time State Champion. He has been teaching chess for 30 years, and coaches some of the top junior players in the US.